At Sage, we are committed to finish the fight against cancer. For the last 6 years, Sage participated Relay For Life raising over $100,000 through team and individual fundraising efforts. Sage knows that cancer impacts everyone from our customers & dedicated partners to our Sage colleagues and families. This year, Sage joins the fight again with our Sage Green Army. Through fundraising, such as our signature golf event, Swing Against Cancer, Sage colleagues will raise funds to support research and programs in the fight against cancer. The American Cancer Society (ACS) Relay For Life® represents the hope that those lost cancer will never be forgotten, that those who face cancer will be supported, and that one day cancer will be eliminated. Relay For Life celebrates survivors, funds research and cancer education, inspires the public to become involved in the American Cancer Society's advocacy efforts, and makes important services possible for patients and their families. to benefit American Cancer Society Relay For Life. 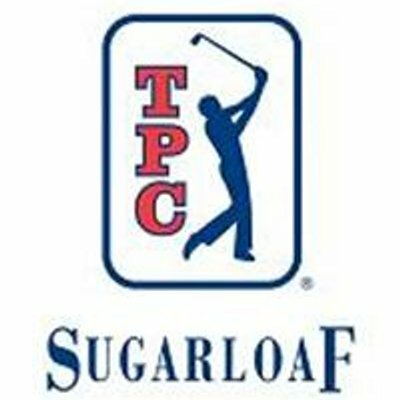 TPC Sugarloaf's’ championship golf facility has hosted the PGA TOUR’s, Bell South Open, as well as the CHAMPIONS TOUR - Mitsubishi Electric Classic. TPC Sugarloaf guests can enjoy an array of amenities and the personalized service and privileges that have become synonymous with the PGA TOUR’s acclaimed TPC Network of premier clubs. Situated on 1,200 acres of breathtaking Georgia countryside within the gated community of Sugarloaf Country Club, TPC Sugarloaf offers 27 holes of magnificent golf designed by Greg Norman. TPC Sugarloaf’s par-72, 7,259-yard championship golf course is accented by tree-lined Bermuda fairways, streams, lakes and rolling hills. It is comprised of the front nine called “The Stables” and the back nine named “The Meadows.” When it debuted in 1997, TPC Sugarloaf was named “Best New Private Clubs in the U.S.” by Golf Digest and Golf week awarded them “Top 100 Best Residential Golf Courses for 2007-2008,” TPC Sugarloaf’s featured 18 holes are.